April 14 at 11:00am is our next doga! Yoga with your dog has shown to have health (both mental and physical) benefits, as well as it helps strengthen the bond between you and your best furry friend. All friendly dogs (and children) are welcome, and don’t worry if you have a “hyper” or over-active dog – they tend to settle in perfectly with the rest of the pack as the hour goes on! Can’t wait to see you there! $10 suggested donation, or spend $25 and get an EMMAvet tee! Join us for the next doga class on Sunday, March 24, at 11:00am! No prior experience necessary. 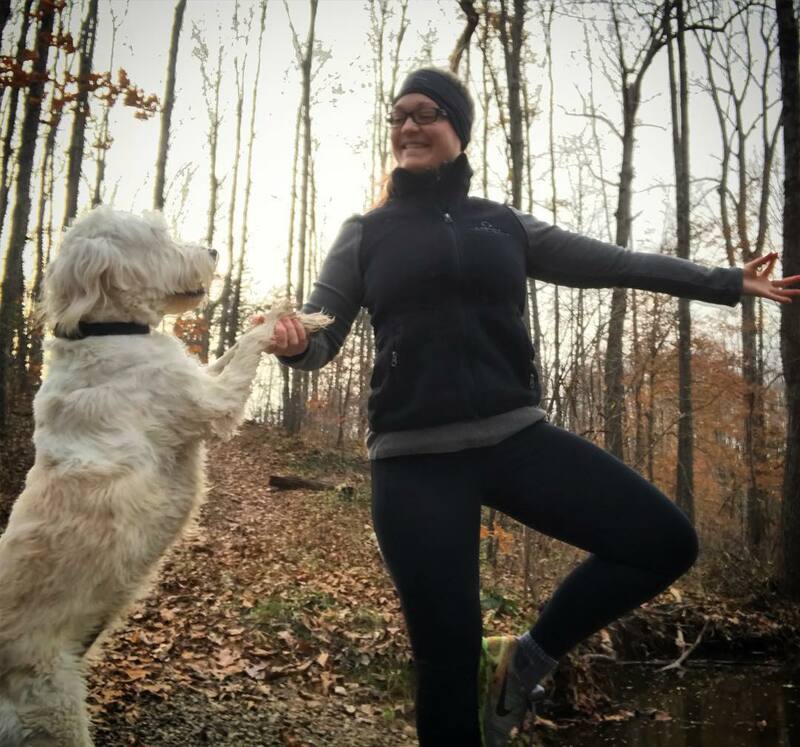 Our Certified Yoga Instructor, Ashley, and her dog Gibson, will lead us through an hour-long class. Bring a pup or two if you have one! EMMAvet will be at the Super Pet Expo! An exciting fun weekend, with shopping, play, adoption and education for pet lovers! ** JOIN US ** Sunday, December 9th, at 11am for doga with our own certified yoga 🧘🏾‍♀️ instructor and her pup, 🐩🐶Gibson! Rejuvenate and strengthen with your furry friend (and everyone else’s!). Located at EMMAvet in the Belleview Shopping Center in Alexandria. Donations-based class! With pawlidays pet photos, treats and gifts for our four-legged friends. Admission & photos are free! 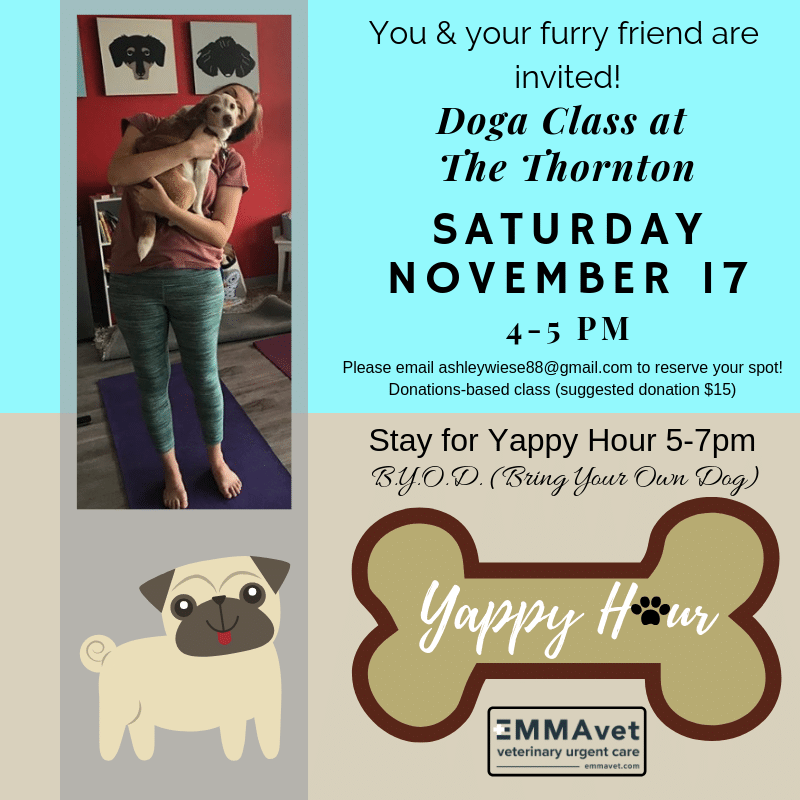 DOGA Class at The Thornton with Yappy Hour! What is better than YOGA with your favorite furry friend? 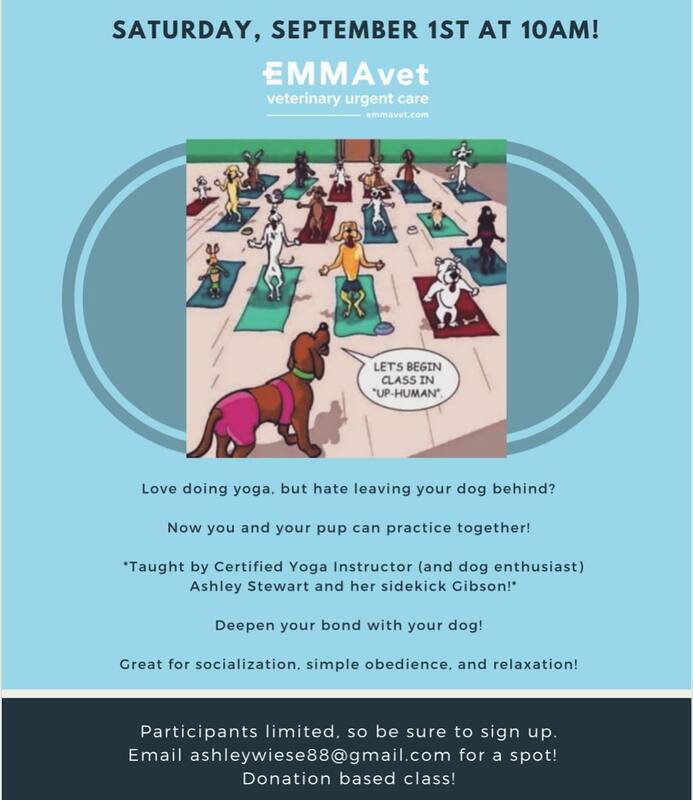 Doga *followed by* Yappy Hour with EMMAvet! Join us on Saturday, November 17! 4-5pm 🧘🏾‍♂️🧘🏻‍♀️doga, 5-7pm Yappy Hour 🥂🍷🥤at The Thornton! 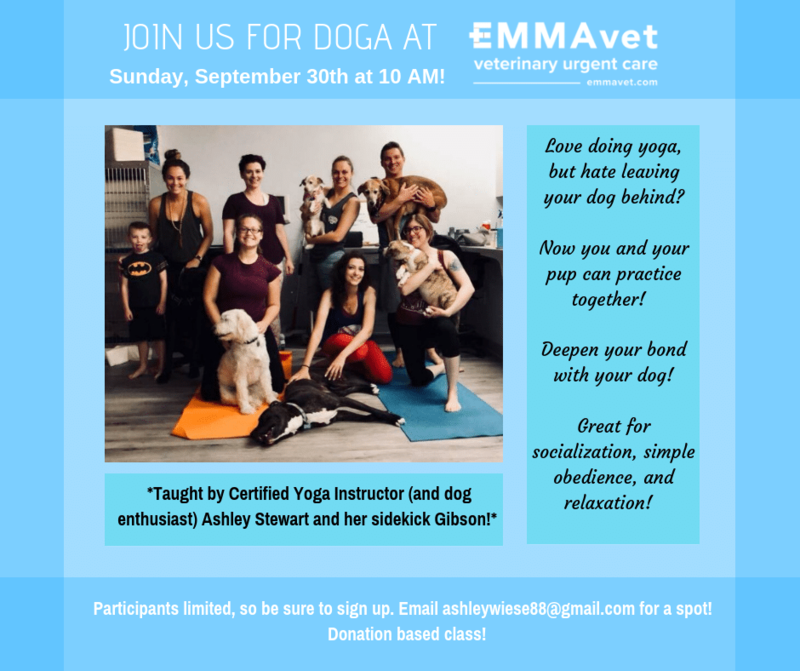 Email our Certified Yoga Instructor at ashleywiese88@gmail.com to reserve your spot for our next doga! Donations-based class. 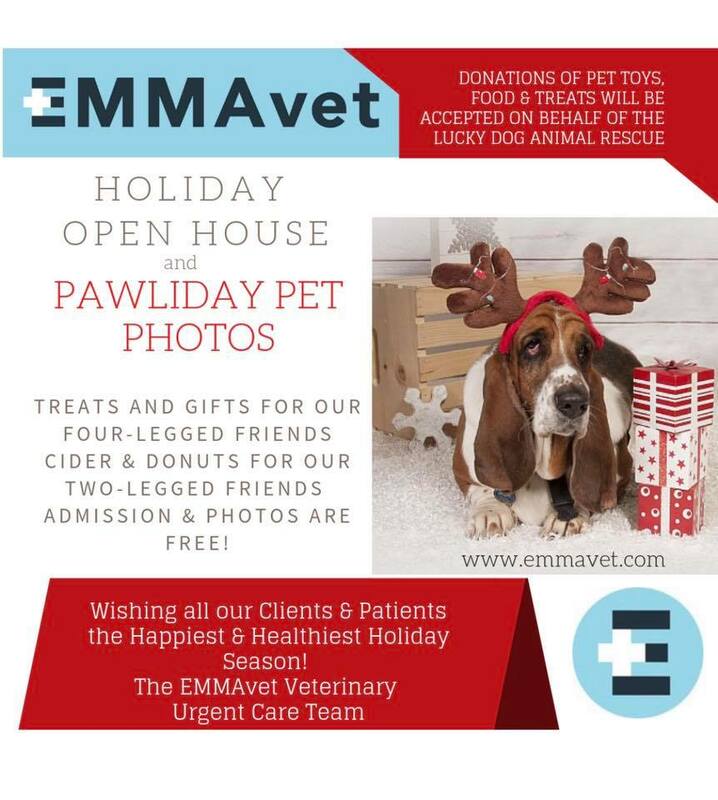 EMMAvet will be at the Pints for Paws. Come join us for one of the Animal Welfare League of Arlington's biggest fundraisers of the year! A pop-up pet festival, including unlimited craft beers, live music, doggy costume contests, doggy games, a dog rest park, food trucks, and much more! Ready for a good workout with your four-legged friend?! 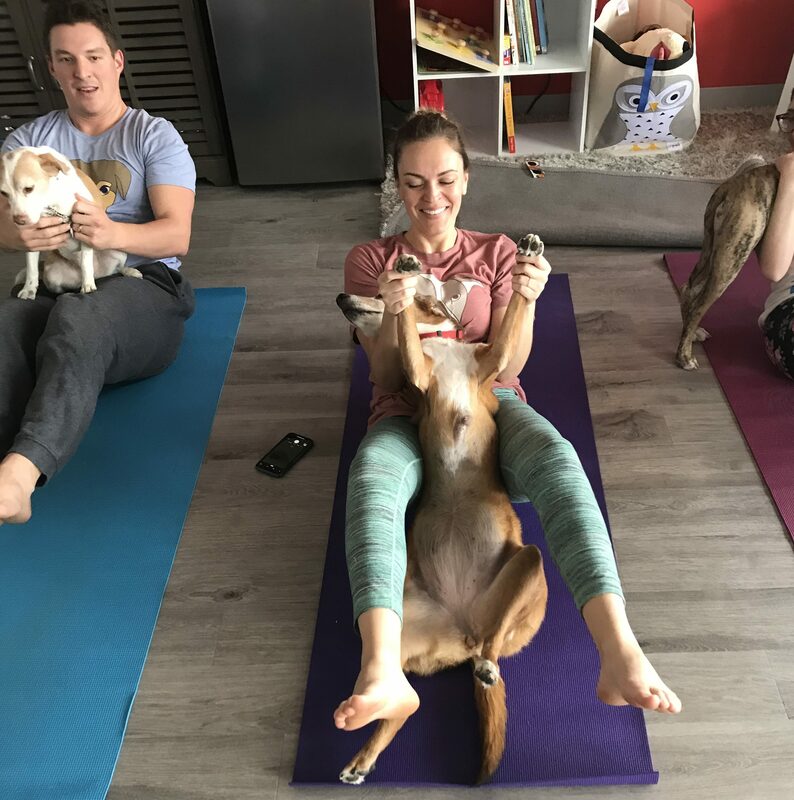 The benefits of yoga with your dog are observed immediately as you deepen the bond with your pup🐕🐩 🧘🏾‍♂️🧘🏻‍♀️Email our Certified Yoga Instructor at ashleywiese88@gmail.com to reserve your spot for our next doga! Donations-based class. 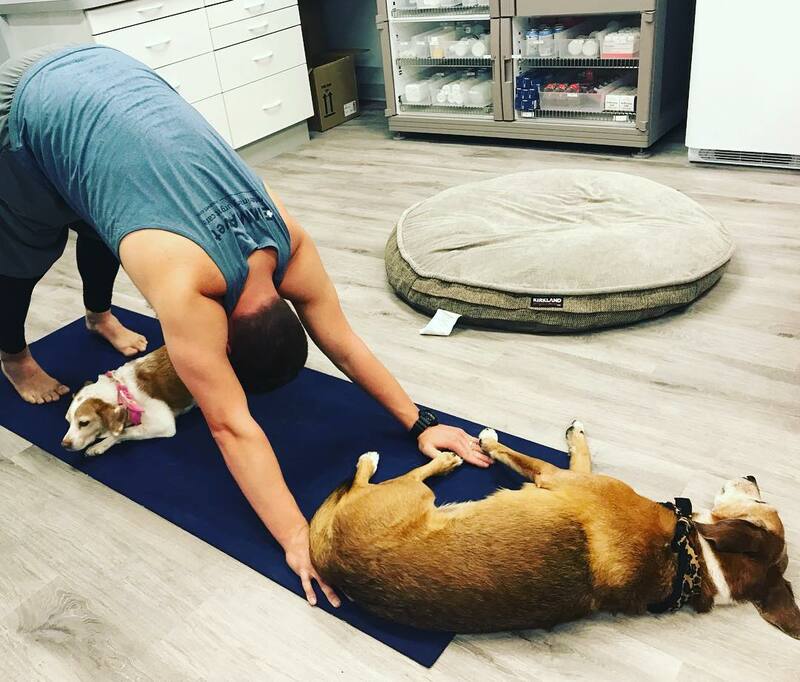 Love doing yoga, but hate leaving your dog behind? Now you and your pup can practice together! Participants limited. Email ashleywiese88@gmail.com for a spot! 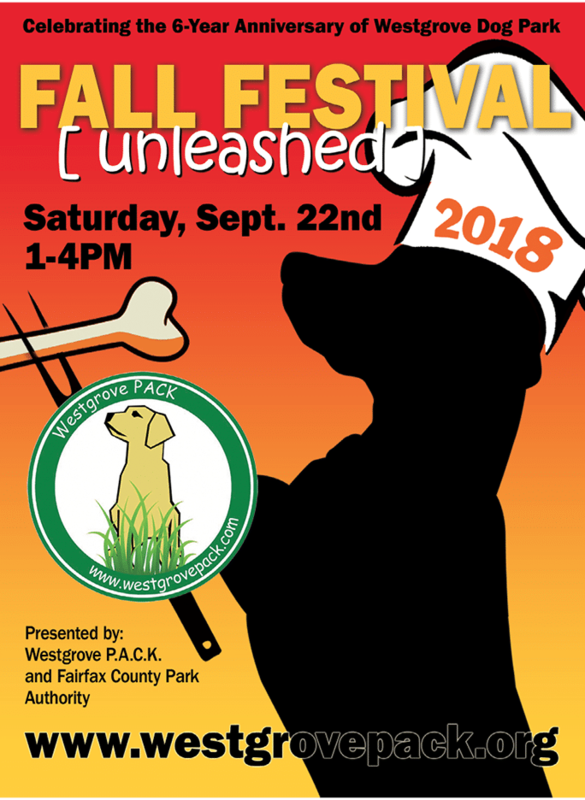 EMMAvet will be at the Fall Festival Unleashed! 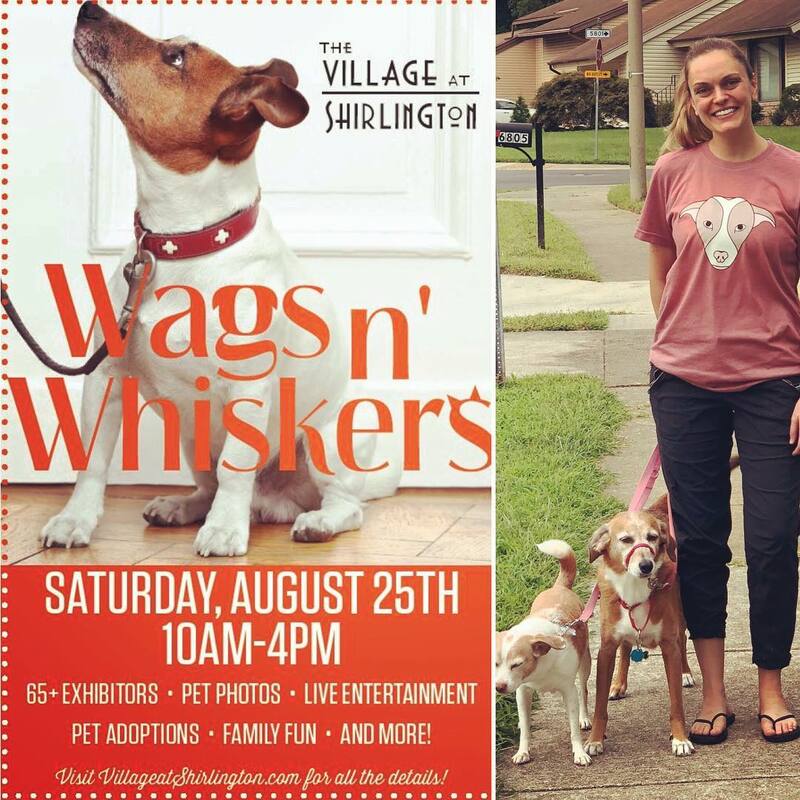 EMMavet will be at Wags n' Whiskers!